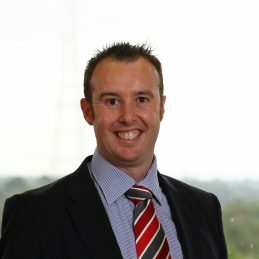 Colin Anstie is the CEO of a leading digital consulting and training agency based in Australia. He is a marketing expert, with a heavy focus and passion for digital, who frequently appears as a speaker in seminars, conferences and workshops across the world. Colin has over twelve years’ experience working in digital marketing, market research, corporate planning and general management for large corporates. Colin’s previous appointments include: Marketing Director for a joint Australian state government and tertiary education sector initiative, the CBR Innovation Network; Head of Digital for an online bank, RaboDirect, part of Rabobank, a Dutch multinational banking and financial services company; Digital Manager for a large Australian bank, Commonwealth Bank; Online Manager for another large Australian bank, Bankwest and Online Marketing Manager for Telstra, a large Australian telecommunications company. For over eight years, Colin has worked with small to medium businesses, through to government departments and multinationals, across many industries, namely financial and professional services and telecommunications. Raging Digital and Colin’s clients include: the Australian National University; the University of Auckland, New Zealand; the Australian Government Department of Industry, Innovation and Science; the Australian Government Department of the Environment; the Australian Institute of Sport; Telstra; REA Group, a global online real estate advertising company; Bankwest; Commonwealth Bank; Oracle and Sitecore, a customer experience management company. Colin has run hundreds of seminars, conferences and workshops and executive programmes in Marketing Strategy, Digital Marketing, Analytics and Social Media Strategy. He has also been profiled in Australian media and multinational and Australian company publications, alongside the publication of his articles, studies and multimedia through these channels. Colin is extremely focused on increasing revenue and profit for businesses.